Another cliche wave of ‘only attractive young people can save the world because they are special’ movies. Really??? Do we really need another one of these films with an overly used and tired plot? I suppose so–or at least that is what Sony Pictures is hoping for. Once again, the world is at the brink of destruction by an alien race that has taken over most adults. It is up to a small band of rebel young people to save the world by overcoming the impossible. Only this time, the dialog and plot are so incredibly blasé that you may likely find yourself often glancing at your watch to see when this painful movie will be over. 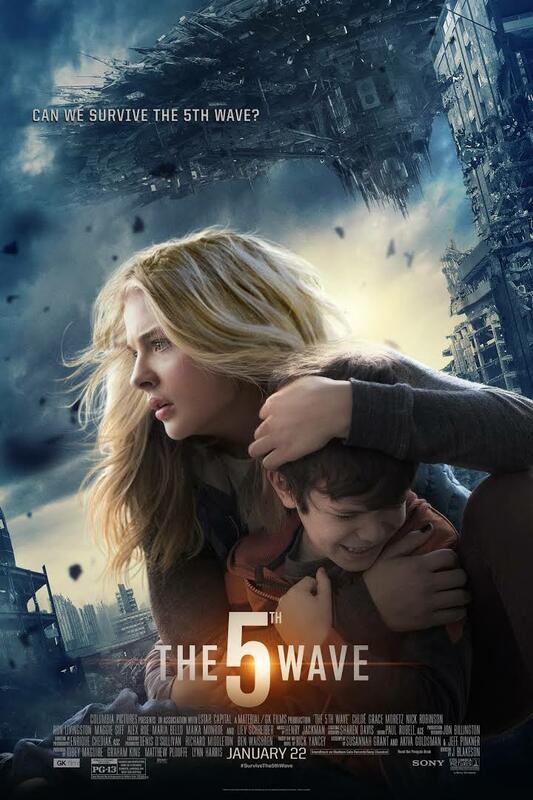 Can we survive the fifth wave??? That question is all too apropos. From the unimpressive digital effects to the crazy quilt consisting of pieces and patches from every other YA fantasy action thriller, hopefully this movie signifies the last wave of boring and predictable franchises that try to compete with The Hunger Games but fail miserably. I normally summarize the plot here, but I am pretty well sure that you already know all that you need to know, given the repetition of such films in this sub-genre of young adult movies. If you simply enjoy mild, mindless, cliche young adult (trying so hard to appeal to teens and adults) entertainment, then this film is for you. On the other hand, if you are tired of this same vapid plot that we have been accosted with for the last several years, then this is not the way to spend the weekend. Haha. I wanted to see The Boy instead last night; but unfortunately, it was not getting a Thursday night release. I think distribution companies and theatre chains should have released it instead last night, and saved this travesty for today.